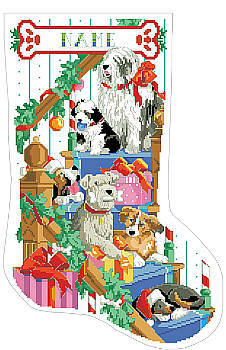 They are all here waiting for Santa to remember them too. Our dogs are such a part of our lives. 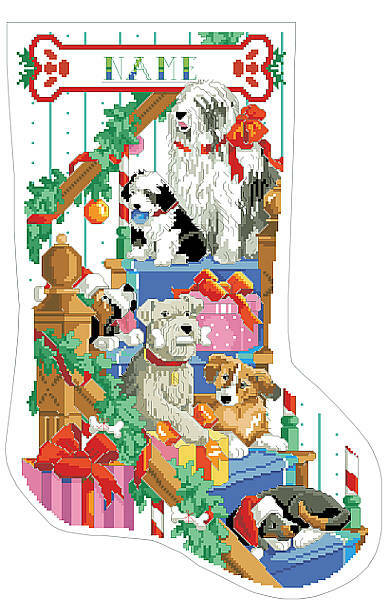 Celebrate their place in your heart with a stocking depicting this relationship with our canine friends. Contents: Stitch Count 141w X 223h. Finished size on 14 ct 10" X 15-7/8"